Whether you are planning a tour around South East Asia, or you’re just looking for places to go for an unplanned visit from Bangkok, Cambodia is a great choice. Filled with ancient ruins and stunning natural beauty, some would say that Cambodia offers a more realistic look at the culture of the region than cities like Bangkok. Air Asia plane at Don Muang Airport Bangkok. © Farbregas Hareluya / Shutterstock, Inc. The fastest way to get from Bangkok to Cambodia is by air, although this really only helps if you’re trying to get to the capital city, Phnom Penh, or to Siem Reap and Angkor. Siem Reap International Airport is only a short distance from the city of Siem Reap, and the city is equally just 6 kilometers (4 miles) from Angkor Archaeological Park which is great if you’re interested in visiting this amazing temple complex that dates from the 12th century. Three airlines offer flights from Bangkok’s Suvarnabhumi Airport to Siem Reap and these are Bangkok Airways, Thai Airways (operated by Thai Smile), and Cambodia Angkor Air. 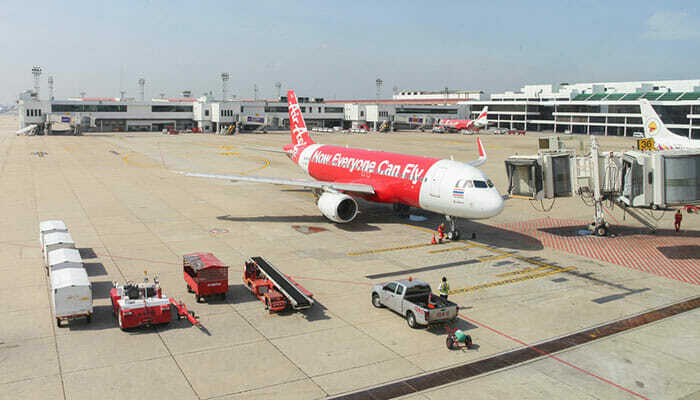 Another option is to fly from Don Mueang in Bangkok with Thai AirAsia. At only around one hour flying time, this is the perfect way to travel if you want to get from Bangkok to Cambodia quickly. You could also catch a flight from Bangkok to the Cambodian capital city, Phnom Penh. These flights are just a little over an hour, so still very fast, but going by air is the most expensive way to travel. As with flights to Siem Reap, there are four airlines offering flights to Phnom Penh International Airport from Bangkok – Bangkok Airways, Thai Airways, and Thai Smile from Suvarnabhumi, and Thai AirAsia from Don Mueang. Buses from Bangkok to Cambodia have the advantage of offering more flexible routes than flights do, and they are very cheap when compared to airline tickets. The drawback with a bus is that they are covering long distances so they do take a long time. Being cramped into a bus seat for an entire day will not appeal to some travelers, while others will be happy to put up with the conditions because of the affordable cost. As with flights, the two main places that buses will go from Bangkok to Cambodia are Phnom Penh and Siem Reap. 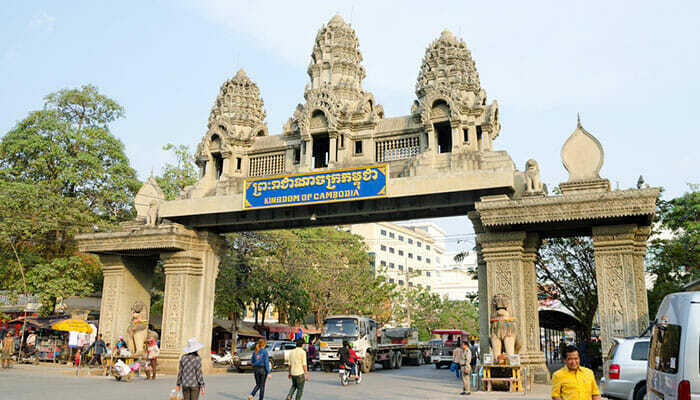 Both cities are covered by a large number of bus services and for both of these you will be crossing into Cambodia at the Aranyaprathet / Poipet border. If you are going to Siem Reap or Phnom Penh, there are direct buses from Bangkok to both cities, and these are cost effective and convenient. More options exist if you simply want to travel from Bangkok to the Cambodian border and then do your own thing. There are several different bus companies that will take you to the same border mentioned above then you can catch a bus from the Cambodian side. 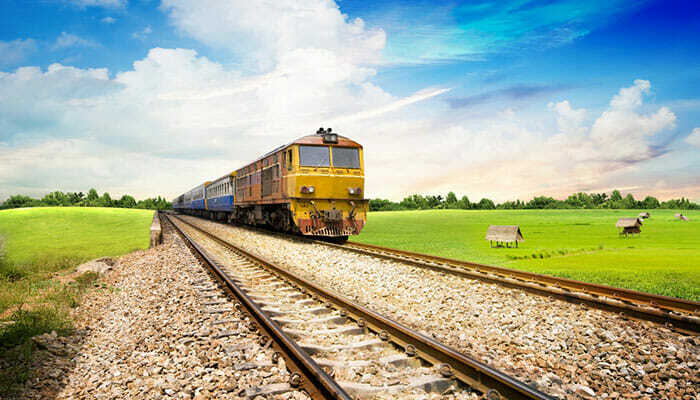 You may expect a train to be faster than traveling by road, but in Thailand this is not the case! Trains seem to be a good way to transport a larger number of people from A to B but they are not designed to be a fast mode of transport. Take the train from Bangkok to Cambodia as an example – it takes 6 hours to get to the border but if you put the length of journey aside, traveling by train in Thailand does have its advantages… it is cheap for one thing, can be more comfortable than a bus plus you have the chance to get up and move around the train, and there are usually more facilities on offer. Traveling by train to Cambodia gives you time to watch the scenery go by as well, if you’re taking a daytime train. Be aware though, there are no trains operating across the border between Thailand and Cambodia so you will only be able to get so far as Aranyaprathet. After this you will have to take a tuk-tuk to the border and once across the border you will have to choose how you’d like to continue your journey, depending on where you’re going. A minivan, bus or taxi to Siem Reap will take about 2.5 to 3 hours if you’re stopping there to see Angkor Wat, but, even if you’re traveling directly on to Phnom Penh you will still need to travel via Siem Reap then catch a cool speedboat or take a bus to the capital city. 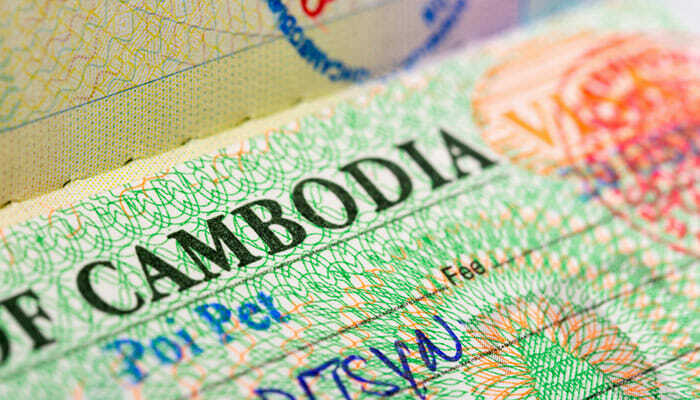 Remember that if you are planning to travel from Bangkok to Cambodia, whichever mode of transport you choose you will be crossing an international border. When traveling by bus, or taking the train from Bangkok, getting your visa at the border is not complicated but can take a while. If possible, try to apply for an e-visa online before your trip because this way you already have it, and can save yourself some time and hassle at the border.